The sensitivity of phytoplankton species for hydrogen peroxide (H2O2) was analyzed by pulse amplitude modulated (PAM) fluorometry. 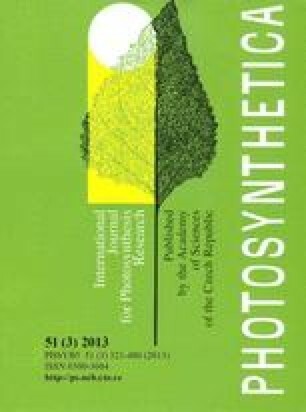 The inhibition of photosynthesis was more severe in five tested cyanobacterial species than in three green algal species and one diatom species. Hence the inhibitory effect of H2O2 is especially pronounced for cyanobacteria. A specific damage of the photosynthetic apparatus was demonstrated by changes in 77 K fluorescence emission spectra. Different handling of oxidative stress and different cell structure are responsible for the different susceptibility to H2O2 between cyanobacteria and other phytoplankton species. This principle may be potentially employed in the development of new agents to combat cyanobacterial bloom formation in water reservoirs.